Happy Tuesday! I am so excited about this giveaway today, and I know that you will be too! I received a pillow from a very sweet and professional small business owner who runs an Etsy shop called SassafrasHome. Patrice, who is the shops owner was nice enough to send over this gorgeous, burlap monogrammed pillow cover, that has been personally marked with the Marshall brand. Pillows can quickly change the look of any space and I love the personalized look that it adds to my sofa. comforting. 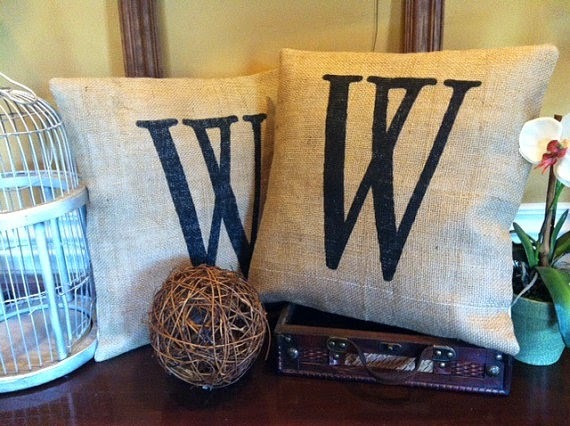 She is also nice to enough to gift one of her most popular items, a 16×16 personalized monogram burlap pillow cover to one of you guys, my fabulous blog friends. Ready to enter? Its simple. I would put it in my front room. 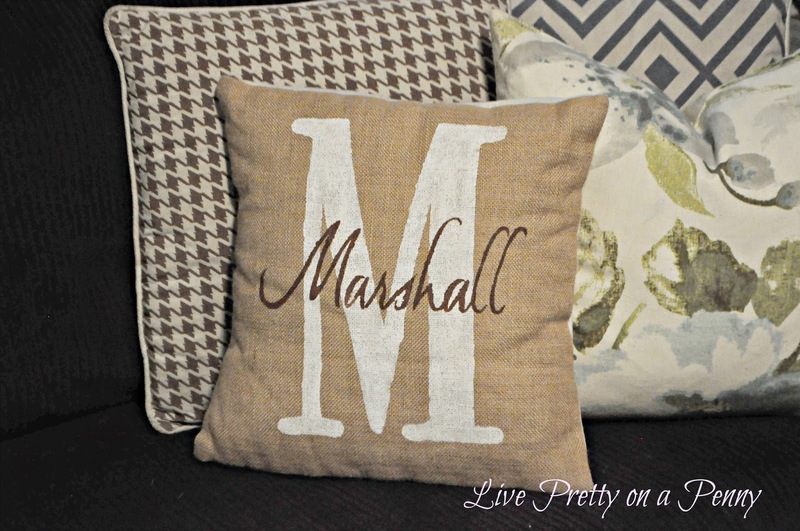 I love all things monogram and these pillows would be a great addition for fall. Thanks for offering this giveaway. Cute pillows. I'd put it in the kids' playroom. Cute pillow! I would out mine in my living room. What a great gift idea – and a great giveaway! i'd put it on my accent chair! These pillows are beautiful! I would put mine in my home office.